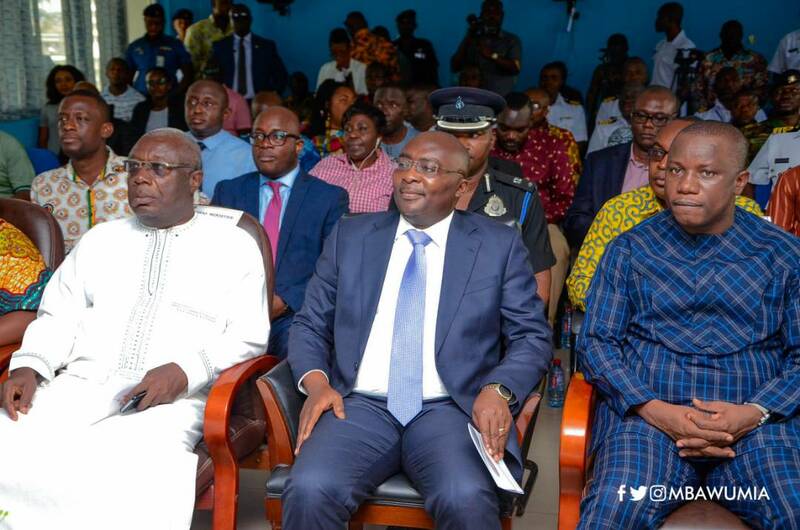 Vice President, Dr. Mahamadu Bawumia has reiterated government’s commitment to curbing the smuggling of petroleum products by sea into Ghana. Dr. Bawumia gave the assurance when he paid a working visit to the Western Naval Command at Sekondi on Thursday February 15, 2018. 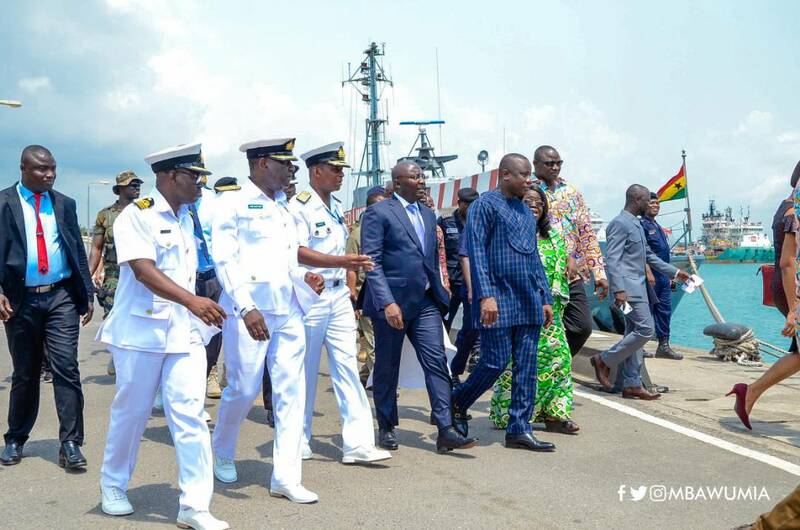 According to the Vice President, the visit was to enable him understand the issues surrounding illegal bunkering and the smuggling of petroleum, as well as discuss the challenges of the Ghana Navy in the fight against the illegality. He also took the opportunity to inspect a number of canoes specially modified by the illegal bunkerers to store petroleum products off-loaded at sea. According to the Chief Executive of the National Petroleum Authority (NPA), Hassan Tampuli, some of the modified canoes can hold as much as 120,000 litres of fuel, enough to fill two-and-a-half bulk Haulage Vehicles popularly known as tankers. Mr. Tampuli disclosed that nine persons had been arrested and handed over to the police while four tankers had been seized in recent months. 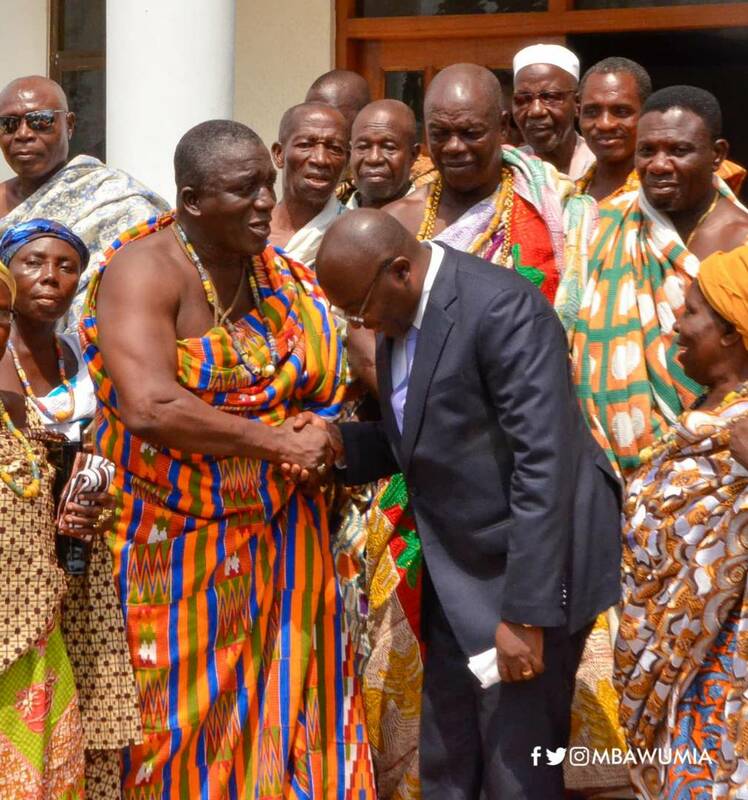 Speaking to the media after the visit, Vice President Bawumia said government was disturbed by the increasing reports of fuel smuggling, adding that Cabinet was considering various models to fight the canker, which has a direct effect on efforts to move Ghana beyond aid. He expressed government’s determination to deal with the matter in a decisive manner, and warned those engaged in it to desist for their own good. The Vice President was accompanied by the Minister of Defence, Dominic Nitiwul; Minister for Fisheries Elizabeth Afoley Quaye; Chief of Naval Staff, Rear Admiral Peter Kofi Faidoo; Western Regional Minister Dr Kwaku Afriyie; Deputy Energy Minister and MP for Effia, Joseph Cudjoe; Deputy Minister for Aviation and MP for Takoradi, Kwabena Okyere Darko Mensah; MP for Sekondi, Andrew Mercer; Chief Executive Officer of the National Petroleum Authority Hassan Tampuli, and other government officials.